Welcome to the Cobblestone Inn & Suites in Clintonville, Wisconsin. Our beautiful hotel is conveniently located near everything that Clintonville, Wisconsin has to offer including Clintonville Municipal Airport, Fox Valley Technical College’s Clintonville location, ThedaCare, and more. Our hotel provides easy access for traveling to and from U.S. Highway 45 and Wisconsin Highway 22. Located along U.S. Highway 45, our hotel is within 40 miles of Green Bay, Wisconsin. In town for business? 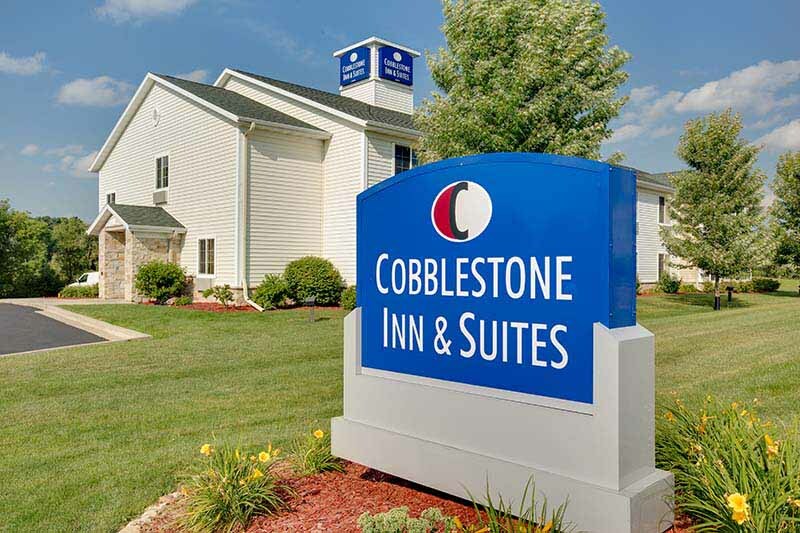 The Cobblestone Inn & Suites in Clintonville, Wisconsin offers easy access to Seagrave Fire Apparatus, Walker Forge, Schutt Industries, Creative Converting, Caroline Implement, and much more! In town for some fun? Check out the Four Wheel Drive Museum, Lake Aire Supper Club, Matthew’s Supper Club, the Pigeon River, Embarrass River, Wolf River, Navarino Wildlife Area, and more.